Last week, I showed the block in straight settings. This week, I am showing the block in on point settings. 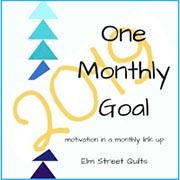 This entry was posted in Uncategorized and tagged Alpine Cross, Electric Quilt, LCsCottage, Nancy Martin calendar blocks, patchwork, quilt blocks, quilt design, quilting. Bookmark the permalink. Which one … do I have pick just one? I can see the Christmas wreaths, and love the last two! You see what I see. LOL!